4 What can You Get from Jogging Strollers? 5 How to Find the Best Double Jogging Stroller for Infant and Toddler? 6.0.1 Who should get a double jogging stroller? 6.0.2 What makes jogging strollers different from your regular stroller? 6.0.3 At what age can you start putting your child in one? 6.0.4 Will jogging strollers suit parents who don’t jog or run as well? Having babies doesn’t mean you have to give up your active lifestyle. In fact, today you can bring your babies with you to enjoy the sunshine and fresh air with rugged double jogging strollers. These modern strollers offer all the comfort and security you could want, while offering a rugged and versatile design that can keep up with your active lifestyle, both in the city and the great outdoors. As the demand for double jogging strollers has grown, companies have introduced many models. If you’re wondering which stroller fits your needs best, look no further—we’ve rounded up and reviewed five of the best double jogging strollers here for you! The first in our list is the Baby Trend Expedition Double Jogger, Centennial, a jogging stroller that is clearly designed with older toddlers and growing kids in mind if we are to judge from the height and weight limits recommended for its occupants—6 to 50 lbs. and no more than 42″. As with the previous product, Baby Trend Double Jogging Stroller reviews are largely positive as well, thanks mainly to features that cater a lot to the parents convenience without cutting corners on the child safety part. The reclining seats are fairly large in proportion to the wheels and features a five-point harness that makes sure that your children are safe and sound in there as you jog. The performance, on the other hand, is handled by two 16-inch rear and a 12-inch front wheels which are basically hardy, all-terrain, pneumatic bicycle tires, the latter of which swivels but can be locked in a single direction and can be stopped with a rear brake system. Baby Trend has yet another product that made it to our list of the best jogging strollers. It’s called the Baby Trend Navigator Double Jogging Stroller, Vanguard. Unlike most strollers in this list, the construction of this product is everything but typical. Rather than having the same old build featuring a single swiveling front wheel for navigation, this stroller has two, because why not? Arguably, this extra front wheel adds some extra stability to the product, and thus security for your children as well. Speaking of security, this Navigator has child security features typical of Baby Trend Jogging strollers, including a five-point harness and a child tray that offers little room for your child to jump out, and that’s per seat. If you would like to keep a constant view of your children while you jog as well, the reclining seats can also be set to face you so you can have all the peace of mind that you need. Now you don’t need to worry about your children ending up in a cramped space; the seats simply have enough room for them to move about. Of course, the product also has extras that parents can appreciate. This includes a parent tray with cup holders, built-in MP3 speakers, and an easy trigger folding mechanism that we find really handy when storing or transporting the stroller. However, the Navigator is a little bulky and heavy. We also found an issue with the wheels shaking when jogging or brisk walking. 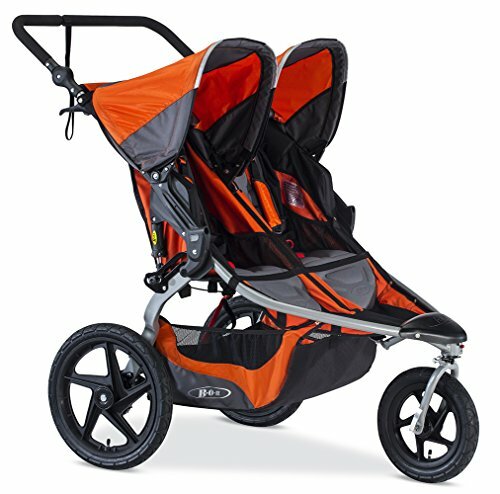 As with the Baby Trend Expedition Double Jogger, Centennial, this issue can easily fixed by locking the wheels, but that’s sacrificing mobility. Do you want a stroller that can provide comfort to baby and can offer you easy maneuvers while at the same time maintaining your look of fashion and style? Look no more, Baby Jogger City Select Stroller with Second Seat, Ruby is here! This product is built with many features and functions. It is a mini travel system, a double stroller, a triple stroller, a single stroller and a pram in one. This stroller can offer the greatest comfort for your baby while at the same time maintaining easy manoeuvrability and style. It is one of the most versatile strollers in the market today. It is designed to make baby enjoy walks, jogging, aerobic exercise and other outdoor activities with the entire family. It is durable enough to last for many years until baby is able to walk on his or her own; it can even be passed on to the next baby. You can never imagine the endless joys that this city stroller can bring to your family. When you buy this stroller, you also buy with the Second Seat Kit included. This allows you to mix and match bassinets, car seats and seats to suit your family’s needs in 16 different styles and combinations. You can shift from double tiered car seats to a single seat combo or a bassinet. Its patented Quick-Fold Technology enables you to fold this stroller in one single step. It also comes with a hand operated park brake, a 12 inch forever-air rear, a telescoping handbar and an 8 inch lightweight dual front quick release wheel and front wheel suspension. Truly this unique stroller is a must-buy for your happy family! Of course, we have a BOB ﻿﻿﻿double jogging stroller as an entry in this list, and why shouldn’t there be one? Do you always want to take baby wherever you go? Now all of this is possible with the new BOB 2016 Revolution Flex Duallie Stroller. With this stroller, you can take baby with you wherever you go: jogging, strolling, walking and doing any other outdoor activity. Now baby can go urban and outdoor with you in more years to come! This stroller is durable enough to last for many years until baby is too old enough to walk by himself or herself. This revolutionary stroller is the perfect stroller for large families with babies. . 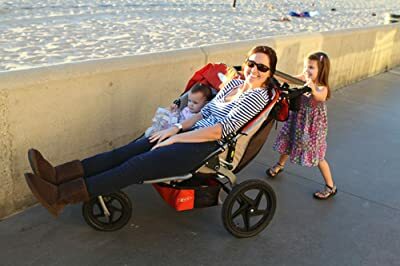 If you have two to three kids and you have a baby, you can use this stroller to take baby for a walk, a vigorous exercise activity, jogging or aerobics. This stroller is so versatile that it can easily adapt to its environment. It comes with front wheel swivels which can enable you to easily maneuver it on city streets, parks and other tight spots. For added stability, it has locks on its wheels so it can withstand rough terrains. It also contains an adjustable handlebar that offers 9 positions for all parents. Its adjustable suspension system is able to withstand bumps, thus ensuring a smooth ride for baby and the whole family. You can even take this stroller in beaches, trails and boardwalks. It also contains a large cargo basket that is able to contain all your supplies and gear. It is so travel that you can take it wherever you go and pack it in vehicles. Truly BOB 2016 Revolution Flex Duallie Stroller is an amazing buy that is a must-have for your family. Still searching for a lightweight, safe and comfortable sports stroller? Then, the Thule Urban Glide is the perfect choice for you. Now, you can go for a jog with your baby comfortably and safely. This stroller offers great mobility in narrow streets, snow covered paths and urban terrains. The swiveling front wheel will allow you to maneuver any path with no difficulty and a full rear suspension will allow a smooth ride. While jogging, you can hold on the control of the stroller easily with a hand brake and a detachable wrist strap. The 5-point harness system comprises of a ventilated, padded seat which can recline horizontally to a flat position for naps. This stroller is lightweight, just 23lbs and 32 lbs, when compared to other strollers available in the market. Along with the lightweight and sleek design, the stroller has many additional features for parents and children. It is really simple to fold this stroller one-handedly, so that you can hold your child on the other hand. Another good feature you can consider about this product is the ergonomics handle bar. You can adjust it according to your height. You can adjust the canopy to various positions with a single hand and it also has a peek-a-boo window which makes it easier for you to keep an eye on your child.Every parent needs to carry certain belongings like diapers etc, irrespective of the occasion and activity. The Thule urban glide has a spacious storage compartment which lets you to keep your belongings wherever you go. 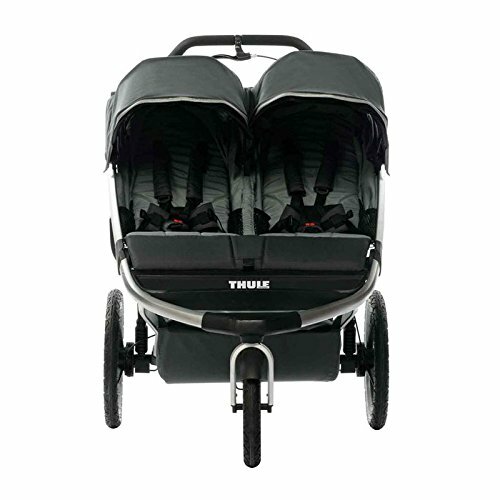 The Thule urban glide is available in two variants for single and double child, while the features are the same. While the sleek design needs to be appreciated, it is hard for two and half year olds to fit in. On the whole, the Thule Urban Glide Sport Stroller is crafted for sports activities in mind and loaded with features which cater to parents’ needs. What can You Get from Jogging Strollers? As we all know, double jogging strollers aren’t mere strollers that you can use to simply take more than one child out for a walk. They are designed such that active parents may be able to bring their children along during brisk-walking, jogging, or running activities. This lets parents stay fit while being able to keep an eye on their children. Of course, every decent jogging stroller should not sacrifice the children’s safety for their adults’ enjoyment. Rather, the safety measures are upped such that the kids stay safe in their seats as they tag along their parents’ daily jogging routine. After all, the point of jogging strollers is to keep yourselves around so you can watch over them as you sweat it out jogging. 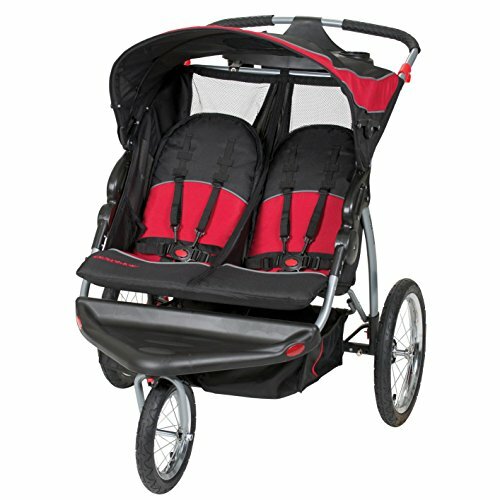 How to Find the Best Double Jogging Stroller for Infant and Toddler? Identify your needs. Know the features that you want or need from a jogging stroller based on your child’s size, weight, gender, or age, as well as factors like your environment, aesthetic tastes, etc. Isolate products that are within your budget range. Often, you get what you pay for, so be sure to take note of strollers priced close to your budget ceiling. Take note that you shouldn’t just judge the product by its price, though, as there are always expensive rip offs lurking around somewhere. With your options narrowed down, check the reviews of each product. Don’t just look at the ratings but also see what other users have to say about the product so you are aware of the products flaws and what advantage each has over another. Should there be a tie in the review contest, get the most affordable one. Get a feel of the jogging stroller and find the best form to run with it. Make sure the stroller is adjusted in a way that you do not hunch or slouch on the handle, and that your elbows are neatly tucked in and not flailing. Dress warm, but be sure to have your children dress appropriately for the temperature. They’re not the ones running. Be sure your children are full before your jogging session to avoid random tantrums bursting. Do run on non-busy roads for obvious reasons. Avoid narrow sidewalks, alleys and, if possible, hills as well. Use one arm and alternate between the two, except when you really need to climb a hill. Maintain maneuverability by not locking the wheel, unless you absolutely have to. It helps a lot especially in busy areas. Check your child’s buckle once in a while. Better safe than sorry! For babies, bring extra diapers. Avoid using stroller blankets. They can fall off and get in the front wheel, and this can cause plenty of accidents. Remember to treat your children during or at the end of the jog! 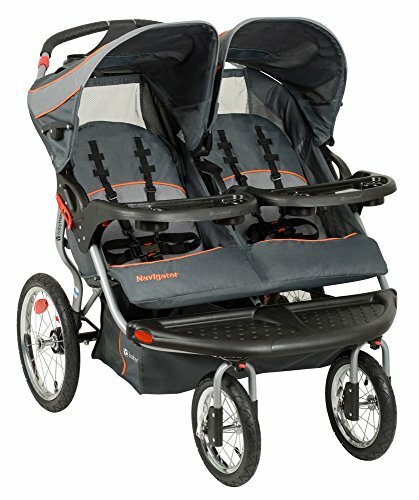 Who should get a double jogging stroller? Double jogging strollers are for parents with more than one young child who are looking to maintain an active lifestyle and still be able to look after their kids at all times. What makes jogging strollers different from your regular stroller? Regular strollers have four wheels while most jogging strollers have three. Furthermore, jogging strollers are often larger and heavier and are built for more rugged use. At what age can you start putting your child in one? The best estimate is six months old, or the age when the baby can support their heads on their own. Will jogging strollers suit parents who don’t jog or run as well? Yes, if you are looking for hardy strollers that are easy to push and stable in any common terrain. This, however, may not be for you if you are looking for light strollers that are easy to store and carry around. 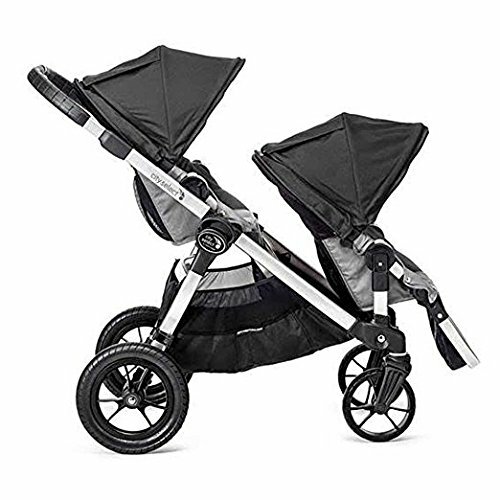 It's not really that difficult to find the best double jogging stroller. If you know your needs and are willing to wade through the hundreds of reviews to find the right stroller, however, that will be no difficult task. Remember though, that as with any other product, you tend to get what you pay for; don't be stingy and be sure to look for the product's quality first, and the price second. Happy hunting!